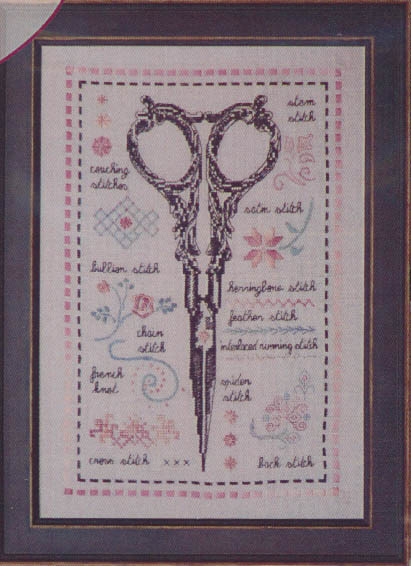 Lovely embroidery scissors with names of different stitches and small examples of each stitch. Count: 108 x 163. Model stitched on Lilac Belfast Zweigart Linen. Nice little picture. Interesting material to work with. Did get ribbon to work project. Might change some colors for a brighter effect. Lots of detail or intricate stitching. Thanks for the sale. 13 points will be rewarded to you when you buy this item. You must be a registered customer to receive points.